Tomáš Hanus is Music Director of the Welsh National Opera, a position he has held since 2016/17. His first two productions of this season, War and Peace and Cenerentola have been well received. “Tomáš Hanus paces and integrates this whole sprawling canvas with precision, energy and commitment.” (The Arts Desk); “…First General Tomáš Hanus ensuring a confident traversal of Prokofiev’s mighty score, baton-charging at the head of 90 musicians and an awesome chorus, the achievement is prodigious.” (What’s on Stage); “WNO’s masterful Music Director Tomáš Hanus…” (The Telegraph). As well as conducting symphonic concerts this season with the WNO orchestra at St David’s Hall, Tomáš will conduct a performance of the House of the Dead in his home town of Brno at the Janacek Festival where he will be presented with a Leoš Janáček memorial medal as recognition as an outstanding performer promoting Janáček’s music. Previous seasons with Welsh National Opera have included productions of Die Fledermaus, Der Rosenkavalier and Khovanshchina along with numerous symphonic concerts and the prestigious Cardiff Singer of the World Competition. In the 2018/19 season, Tomáš returns to the Bayerische Staatsoper with a new production of Bartered Bride directed by David Bösch. Since making his debut there in 2009 with performances of Jenufa directed by Barbara Frey, Tomas has enjoyed a close relationship with the House and conducted new productions of Rusalka directed by Martin Kušej in 2010, of Hänsel und Gretel directed by Richard Jones in 2012 and of Věc Makropulos directed by Árpád Schilling using Tomáš’s critical edition of the Bärenreiter score, in 2014. He returns each year for revival performances of these titles. Elsewhere this season, Tomáš makes his debut with the Hallé Orchestra and returns to the Opera National de Paris for Tchaikovsky’s Iolanta. Last season, Tomáš made his debut with the Vienna State Opera with Rusalka directed by Sven-Eric Bechtolf and he will return next season for performances of Hänsel und Greteland Rusalka and in 2020 for Tcerniakov’s production of Eugene Onegin, a new production for Vienna. 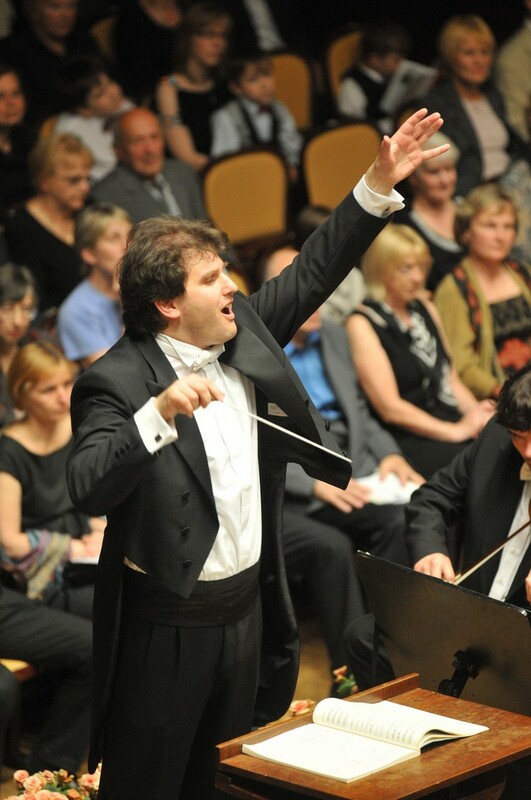 Also last season, Tomáš made a triumphant return to the Deutsche Symphony Orchestra, Berlin. Operatically, Tomáš has conducted new productions and revival performances at the Dresden Staatskappelle, the Danish National Opera and Teatro Real Madrid. Having assisted Jiri Belohlavek in 2003 at the Finnish National Opera with a new production of Katya Kabanová he was invited to conduct the revival in 2005 and to make his debut at the Paris Opera in 2007 with Leoš Janáček’s Věc Makropulos directed by Krzystztof Warlikovwski. Tomáš returned to Paris Opera in 2009 for the revival of this hugely successful production. Since making his debut in 2001 with the National Theatre Prague and a production of Bedřich Smetana’s Devil’s Wall he has worked regularly in the house and most recently conducted performances of Věc Makropulos directed by Christopher Alden. From 2007/08 to 2009 Tomas was Music Director of the National Theatre Brno, Janacek Opera House. Tomáš has made several recordings with both the Prague Philharmonia and the State Philharmonic Orchestra Brno, and also records for Czech Radio. More recently, he has recorded the Viktor Ullmann symphonies with the Prague Symphony Orchestra FOK, and has collaborated with outstanding Czech soloists for Lotos Records.